Obedience is an active choice to do what God wants us to do. Obedience is not just an outward motion, but an inner attitude as well. I can so relate to the attitude of this little boy. The Word of God clearly lays out God’s highest and best plans for my life, but I have a better plan. I just need God to sign off on it. I want to pick and choose the commandments I obey – kind of like a spiritual smorgasbord. There must be a shortcut to becoming a fully devoted follower of Christ. His way seems so hard and so costly. Sin is often so much more fun than obedience – for a little while. It’s the consequences of that sin that are painful. And that is where peace comes in. 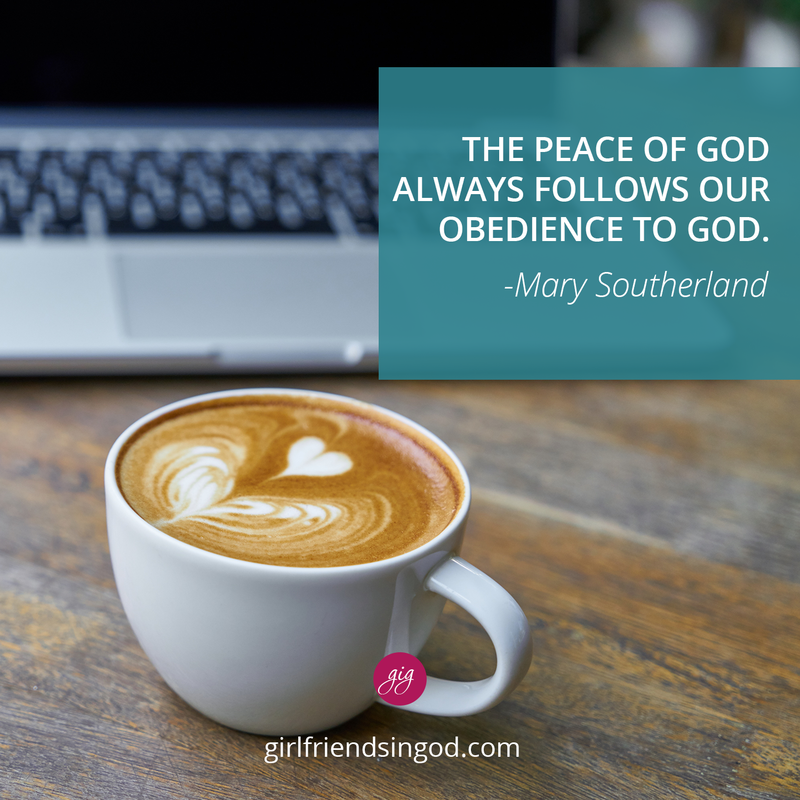 The peace of God always follows our obedience to God. God does not ask us for a season of obedience. He wants a lifestyle of obedience. Obedience is remembering and choosing God in everything we do, choosing to walk in His steps, and following the path He has set for us. Obedience calls us to live like citizens of a future world, guarding each step to make sure it matches the step of God. Not out of fear – but out of love. Not because man observes and keeps score, but because God sees you through eyes of love, and because we want to please Him. We cannot come to Christ and keep responding to the world in the same way. When we truly encounter the living God, our behavior will change along with our perspective, our standards, our motives – everything. In 2 Corinthians 5:17 Paul says that when we come to Christ, we become “a new creation; the old has gone, the new has come!” This holy discipline sounds like an impossible and overwhelming command. It is – unless it is fueled by the power of God in and through us. Our son played football for many years. Different coaches tried to get Jered to play different positions, but they always ended up playing him as a fullback. College recruiters said he was a “throwback.” Jered was built like a true fullback; he ran like a true fullback, and he thought like a true fullback. God has already been where He wants us to go. All we have to do is look for Him, watch His steps, and then follow them – right across the finish line. Choose to live a lifestyle of obedience. Father, I want to obey You. Forgive me when I let fear keep me from walking in Your steps or when I listen for the voice of others instead of Yours. Give me a hunger and thirst for Your Word. Help me grow up in You and become a mature believer whose life illustrates a radical obedience to God. The psalmist prays for an “undivided heart.” Examine your own heart. Is it divided? 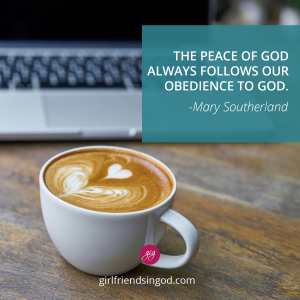 What does that mean to you and how does it impact your obedience to God? Since each lesson stands alone, it is not too late to join Mary’s weekly online Bible Study, Light for the Journey, for practical ways to tap into the power of God’s Word. Beginning January 8, we will begin a new study, How to Hug Your Porcupine. I know you deal with pain in your life. It may be a broken relationship, chronic physical pain, the death of a dream, or the loss of someone you love. How do you deal with pain? Join Mary for a study that will change your life. Children are very do it themselves. Amazing what happens when we obey and let God do it Himself.